North America Forum»Forum ›League of Angels ›General Discussion › LOA Back at it's old tricks again!! LOA Back at it's old tricks again!! 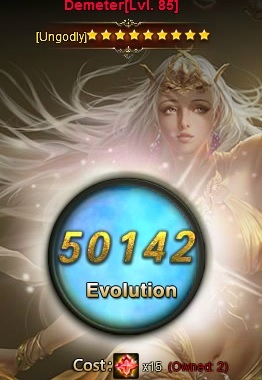 My Aphrodite took about the same, just over 50k in bubble. 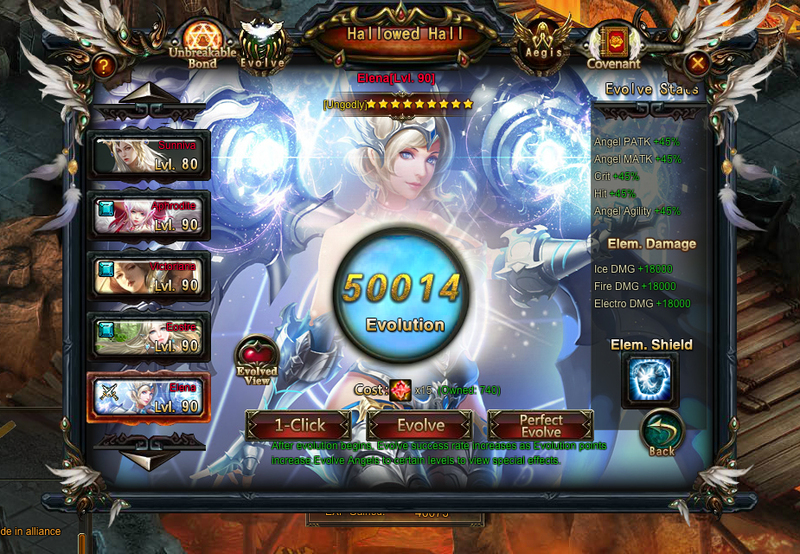 ;Over 33k seraph stones. You\'re just at the bad end of the RNG or what we call in layman\'s term as luck. It\'s not LOA\'s doing and definitely not one of their tricks. It\'s just how the game works. I had my Eostre evolve to excelsior just a few minutes ago, with only 24k in the tank. Needless to say, I was pleasantly surprised. So I\'d say it\'s less conspiracy theories and more about personal luck. If it counts for anything, I barely recharge, only for the bare necessities. Well, at least the torment is almost over. I\'d have stopped at Ungodly for Demeter, but anyway, lol. My first two Excelsior took 25-28k in bubble each, or about 16k seraph stone. ;Third one, like I said above, was 50k bub, 33k stone. ;Funny game. 2019-4-24 06:58 GMT+8 , Processed in 0.063566 second(s), 52 queries .